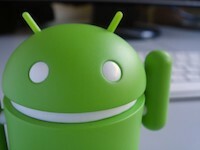 Hello world of little greeny robots! 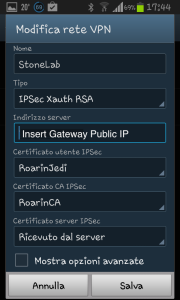 Your voice has been listened, therefore I’m posting working instructions about how to make a client-to-site VPN with a McAfee Next Generation Firewall using a Samsung Galaxy S3 running Android version 4. The firewall configuration is similar to the one used in my previous post about iOS VPN, so you can take the gateway configuration from there as well as the instructions to generate digital certificates. Concerning the client side configuration, here we go! 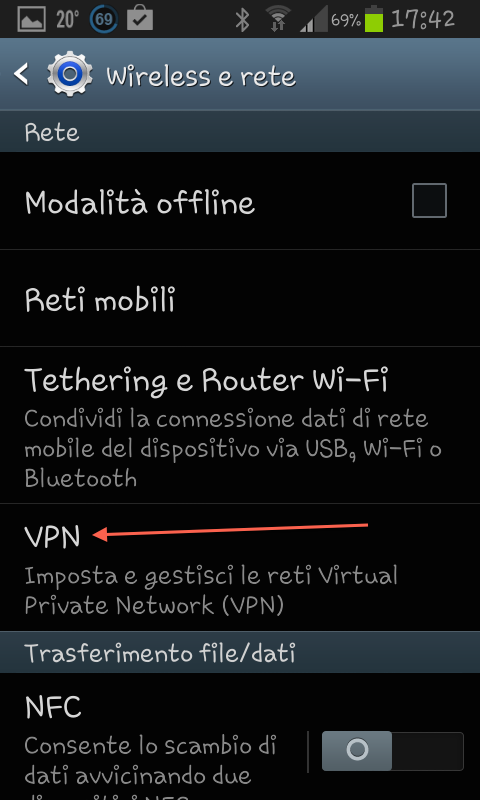 First, go in your smartphone’s Settings – Wireless and Network and choose to configure a VPN. 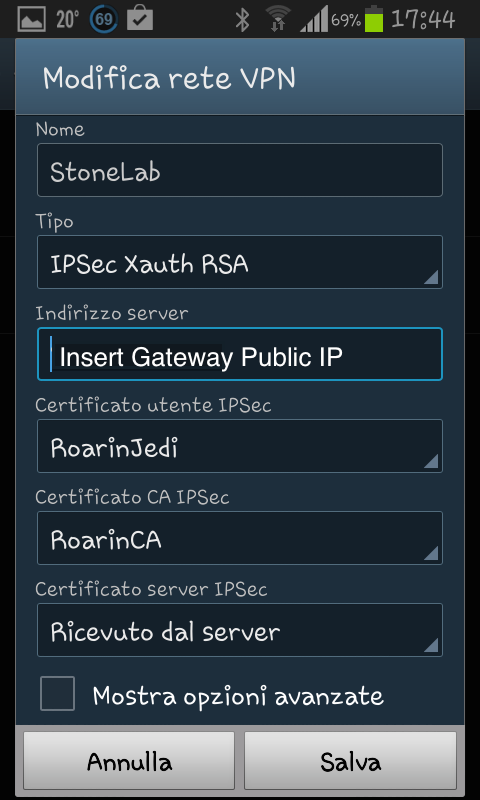 Second, tap on Add VPN and configure it as shown below (from the top, the parameters names are: Name, Type, Server public IP address, User IPSec Digital Certificate, IPSec CA Digital Certificate, IPSec Server Digital Certificate set as Received from server ). Leave the other advanced parameters as default. Tap on Save and… ready to test! 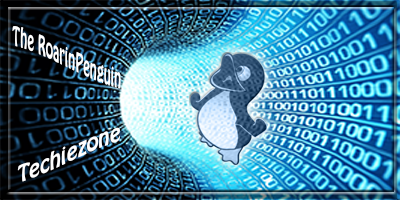 Tap on the newly created VPN configuration, provide valid user authentication credentials when prompted and tap Connect. And voilà… few seconds later, you’ll see you VPN as Connected and you can check the status tapping on it. As usual, please comment and report your experience and what worked and what did not. 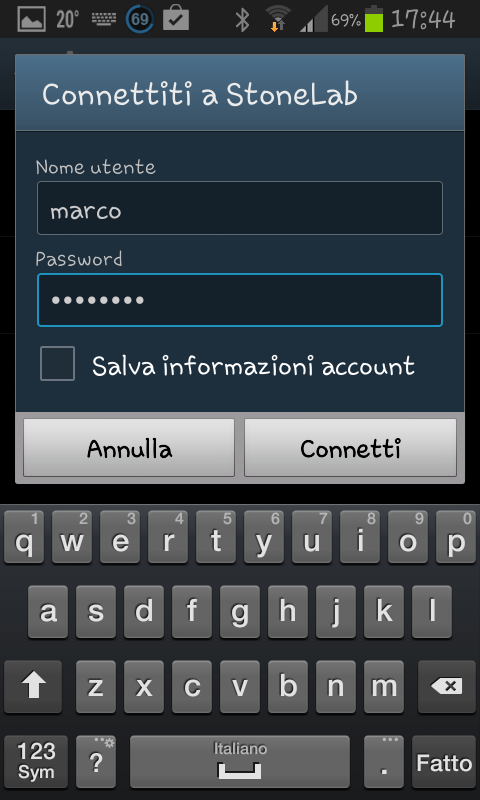 how can i get the authentication type, as i only have the software mcafe vpn client in windows OS. This tutorial was made for Android smartphones, hence your mileage may vary with WinOS… where I apologise but have no experience.